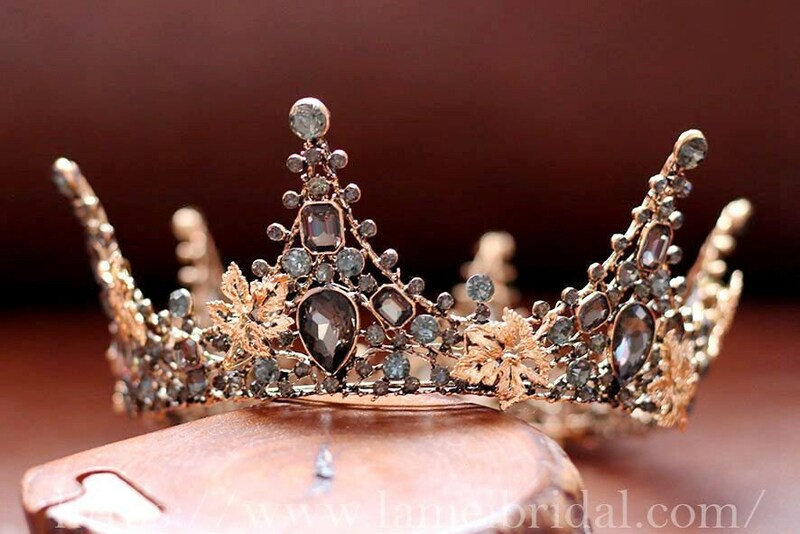 An instant heirloom piece with classic or Evil Queen style and elegance. 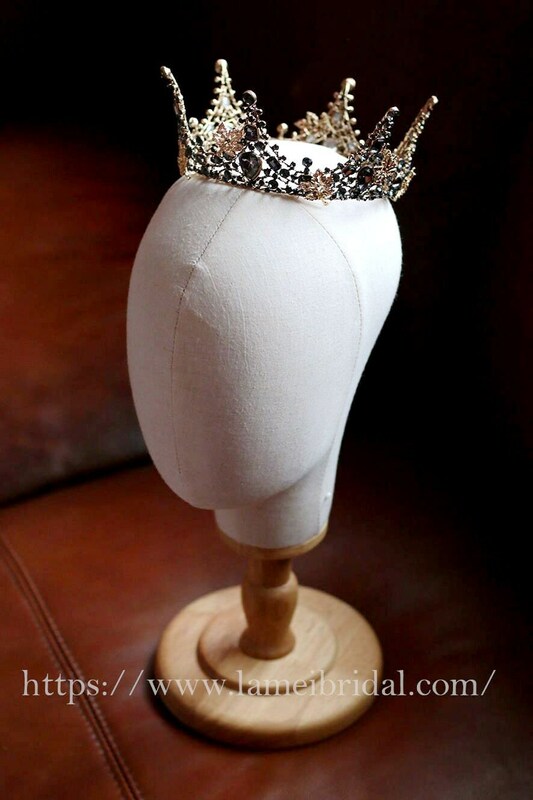 The tiara has pin loops for added security while you are dancing the night away at your wedding! 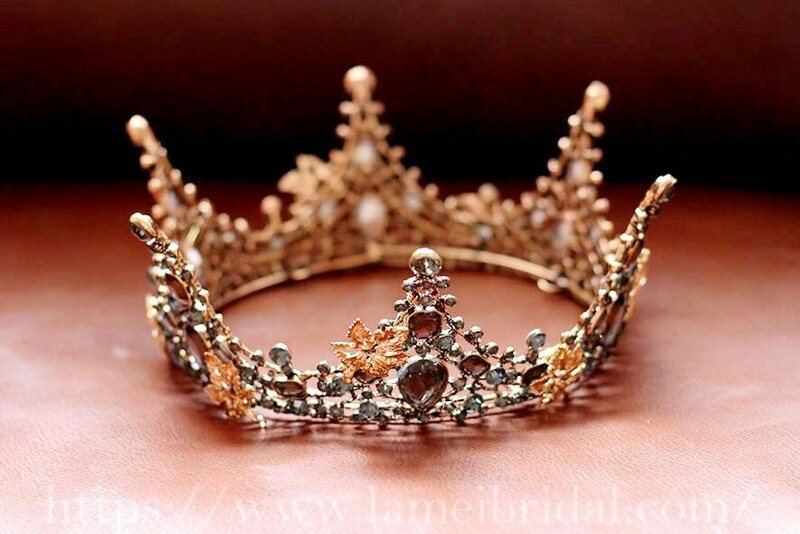 You will feel like a princess in this beautiful wedding headpiece. 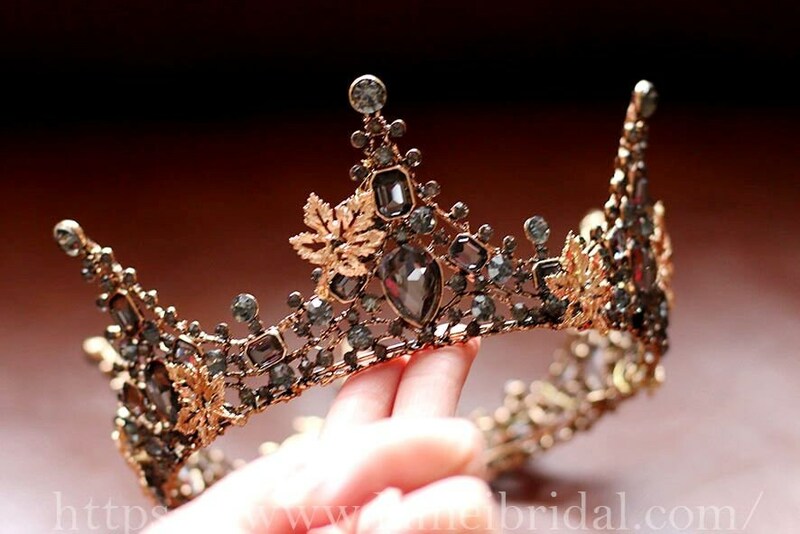 It has a vintage woodland feel, perfect for Black wedding gown. 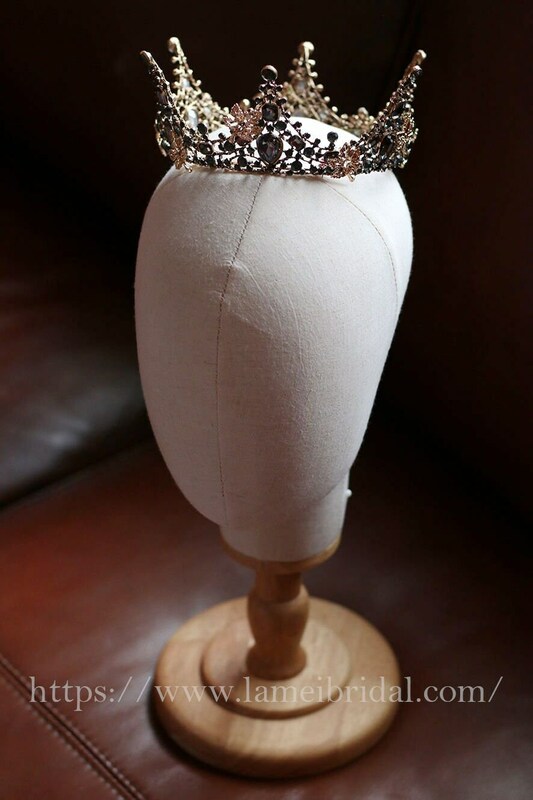 Tiara at its tallest part : 2.7 inches. 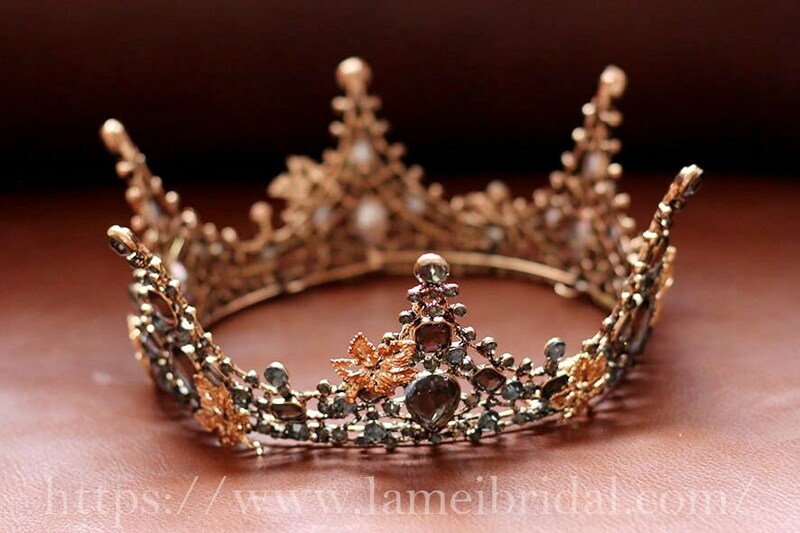 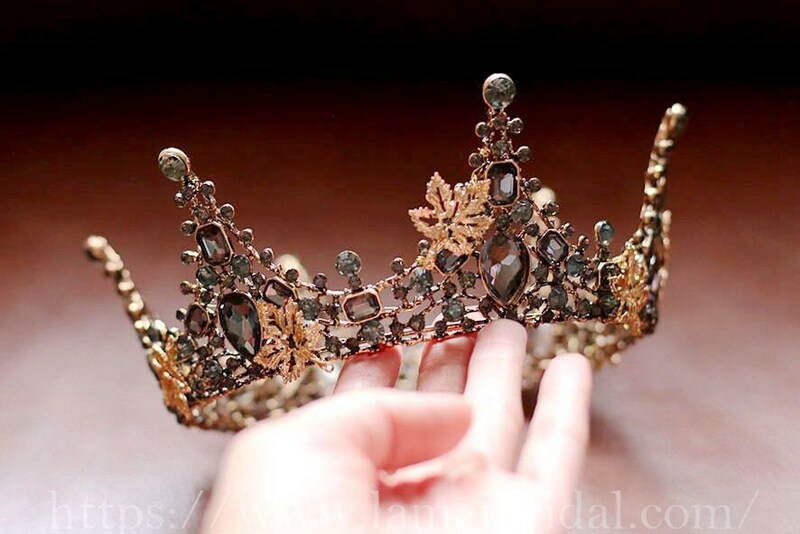 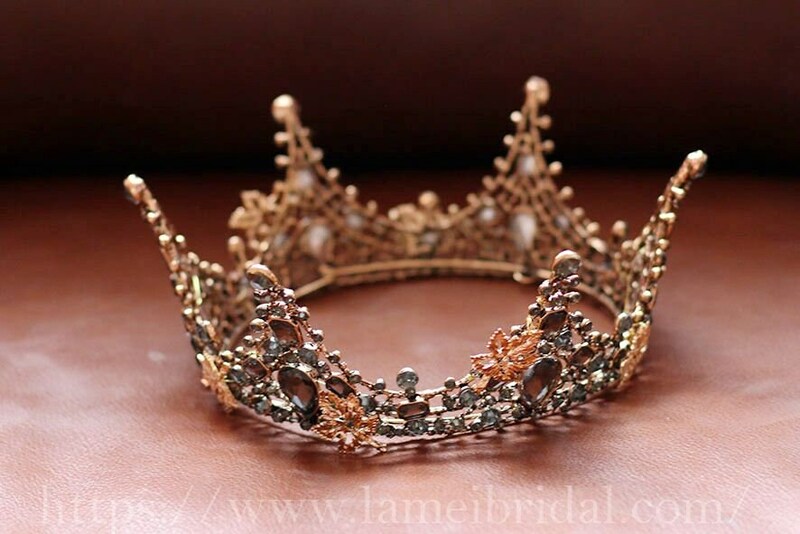 Length of Rhinestone Crown 18 Inches.